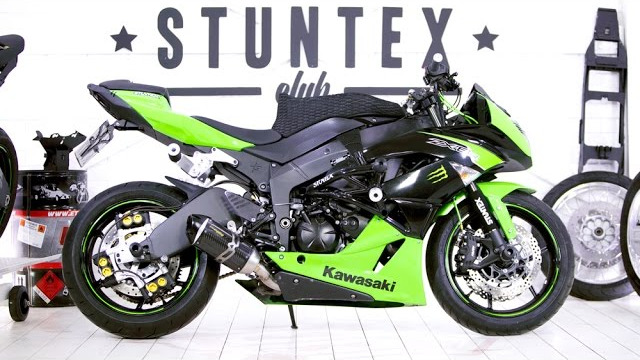 Preparing a Kawasaki ZX6R 09+ for stuntriding is not fundamentally different from other models, but there are some nuances. The version of this motorcycle with plastic is a street killer rather than a stuntbike, which means that this motorcycle is only good for basic stunts and riding around the city. Also, many professionals ride with plastic to make the bike recognizable and more attractive to viewers and sponsors. From a practical point of view, plastic is an excess part that falls apart and breaks during intensive training. 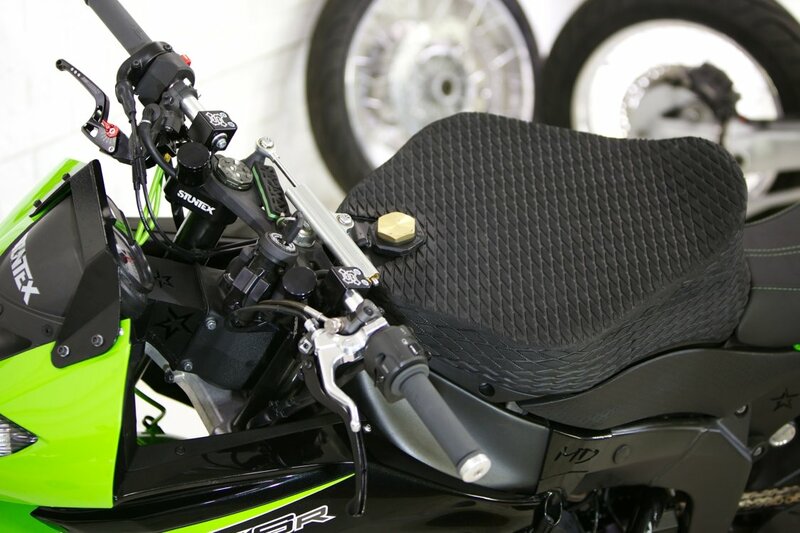 While preparing the ZX6R 09+ for stuntriding, we realized that there were no ready-made suitable solutions for many positions, so we developed them ourselves. 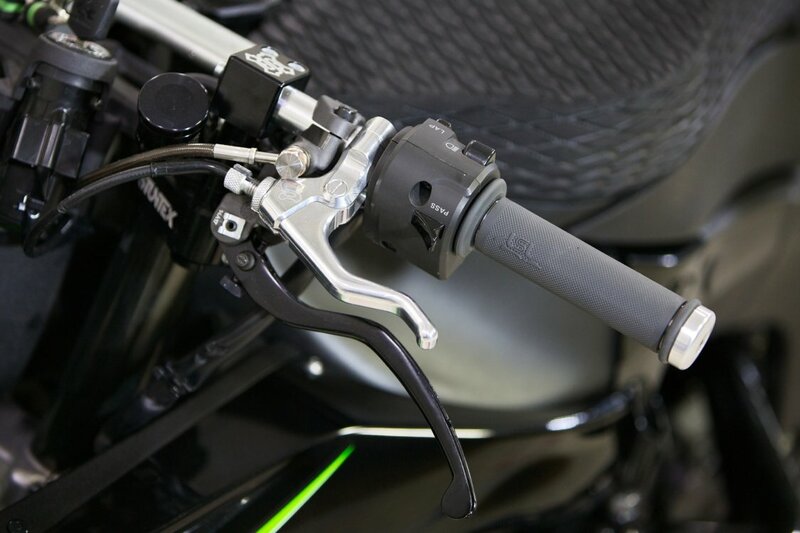 We installed adjustable stuntex clip-ons on the motorcycle - this was the most suitable solution in terms of functionality: they allow to customize the handlebar individually, place the consoles and machines thanks to the long tubes, and also save the stock damper. 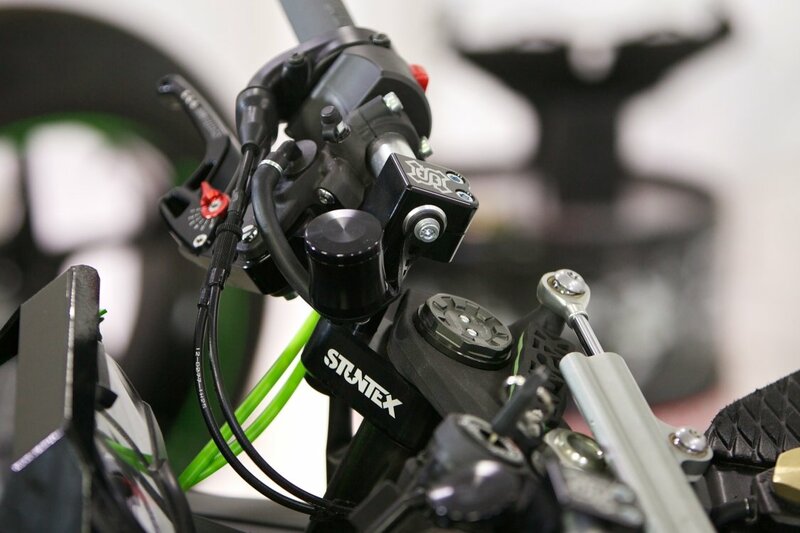 To press the clutch easily, the Stuntex is mounted on two powerful bearings that minimize backlash and friction. The geometry of the lever allows you to use the Stuntex machine with a remote control. HELL elongated reinforced hoses are necessary because the standard ones are short and do not allow to lift clip-ons. ABM aluminum brake tanks on a plastic holder are the most practical solution for a stuntbike. 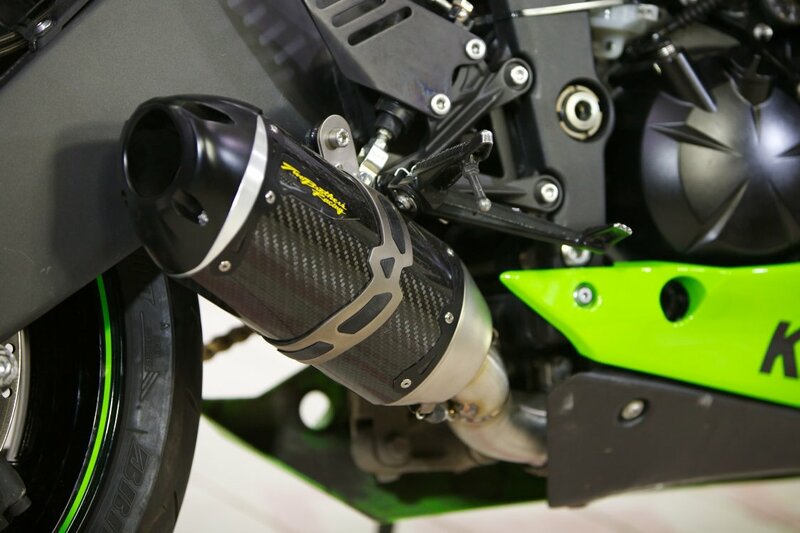 The frame on the model of these years, as on all ZX6R, is weak and bursts with strong shakes under the engine weight. Replacing it with a steel one solves the problem, but this solution has drawbacks: big weight, price and loss of the VIN number, therefore basically the motorcycle documents. We designed the Mad Dog cage with reinforcement brackets that significantly unload these parts of the frame. 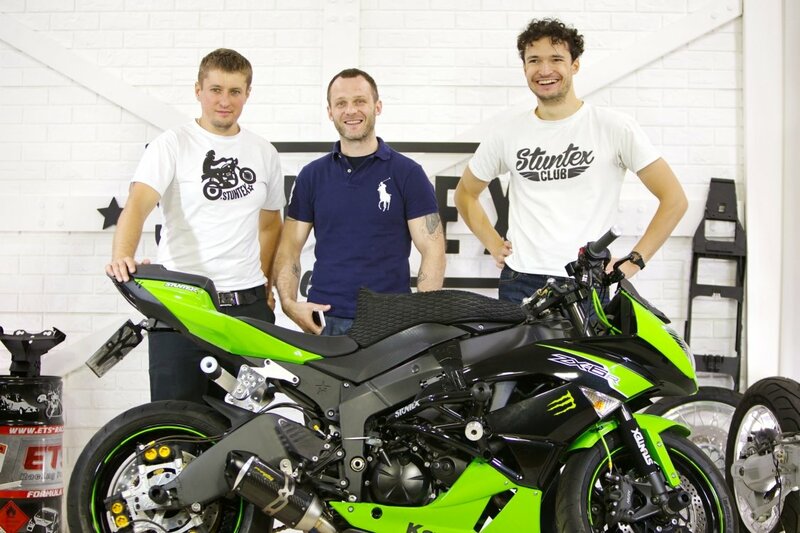 The first version of the cage was tested by a professional rider Grigori Taldykin - he had no problems with the frame. The standard subframe is also fragile. We developed the steel Stuntex subframe (in the photo you can see the third version of it), while trying to make it as light as possible without sacrificing durability. Flatbar and foot stop are included, so everything is easy to install and it looks great. 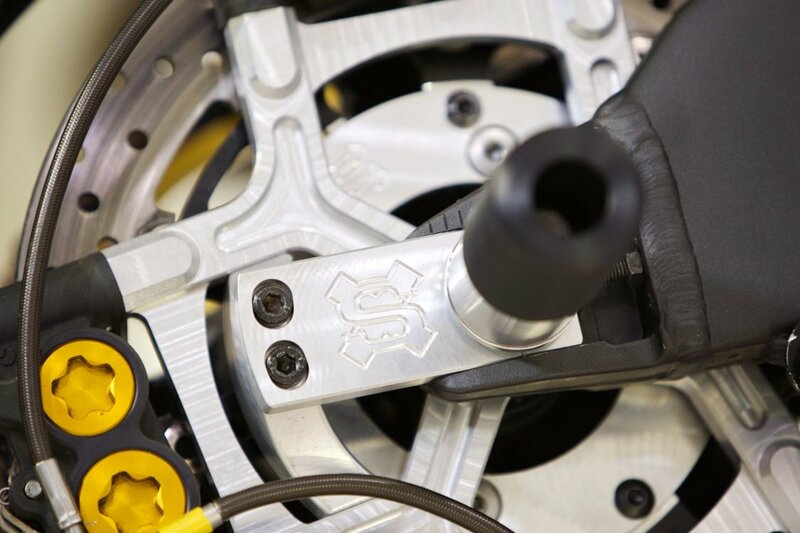 Subcage is a mandatory replacement for standard passenger footpegs that are too fragile for training. We installed the American RSC aluminum lightweight cage, with adjustable footrests. We hope for the next project, our own version will be ready. It is better to use footpegs with caprolon tips in the wheel axles, as they are set at the required angle and do not damage the concrete. Pegs and sliders without plastic tips cannot be used at any competitions. 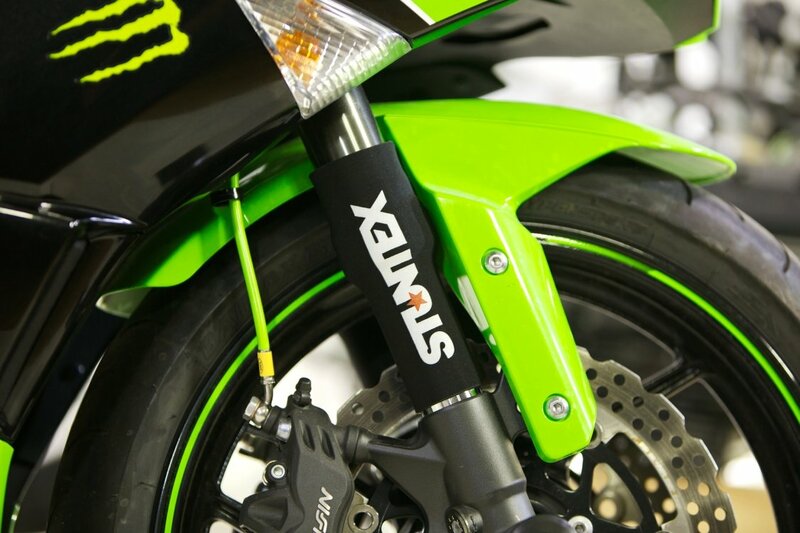 Stuntex pegs are completed with a high-strength stud, and the aluminum part follows the shape of the seats so that the pegs will not bend or break. Standard plastic spider is too fragile. We developed a steel spider Stuntex with a thrust arch on top of plastic and dashboard. The spider can withstand the weight of a person, while being light enough. 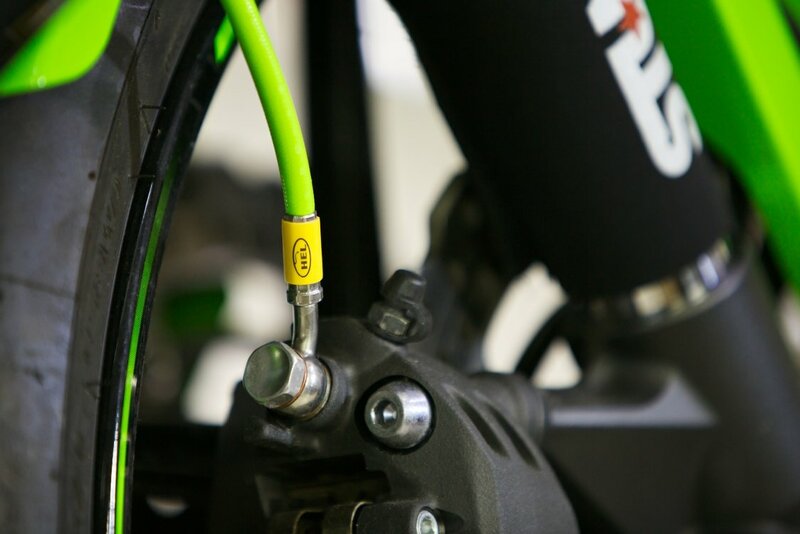 The arc allows you to stop your foot while doing stoppie, and also protects the plastic during the turns. On the radiator there is a reinforcing frame Stuntex, which significantly unloads the aluminum parts of the radiator when it falls and shakes. The sleeves of Stuntex forks from neoprene are excellent protection from dust and dirt, so the filler block lasts longer. For the handbrake, we made a Stuntex bracket with a stop and an adapter for a 310 mm brake disc. The circuit for the three radial calipers is the most popular and has become classic in stuntriding. The stop in the pendulum is necessary to unload the stop from the inside, which breaks off on the model of 2009+. 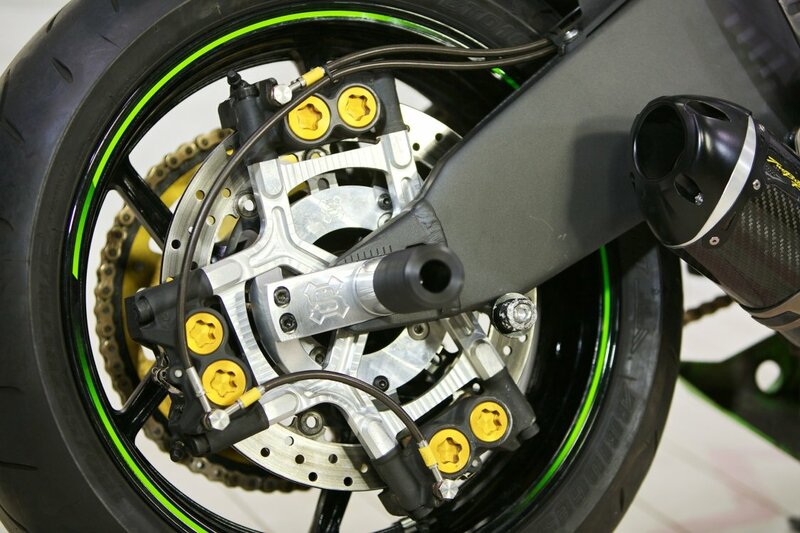 The adapter for the brake disc allows you to use the factory wheels from Yamaha R6 06+. Brembo 16mm works perfectly as the main cylinder. The system is equipped with reinforced HEL hoses . 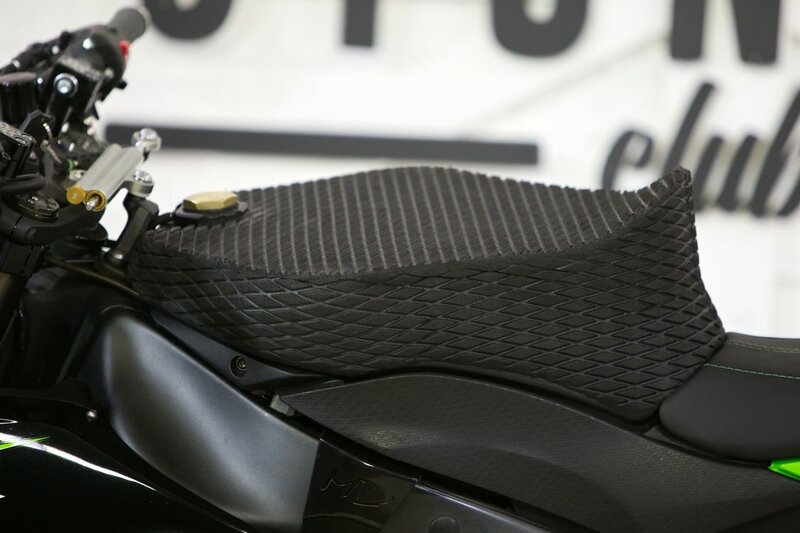 A TWO Brothers S1R straight muffler and a JuiceBOX power controller were installed on the motorcycle, which allowed to get rid of a few kilos of weight without losing power on bottoms. Also, due to the compactness of the Slipon S1R, it was not necessary to cut or modify it so that the canister would not reach the concrete. 60-tooth-sprocket is the most popular option. We set the hybrid star Supersprox with steel teeth and an aluminum frame as the optimal ratio of durability and weight. 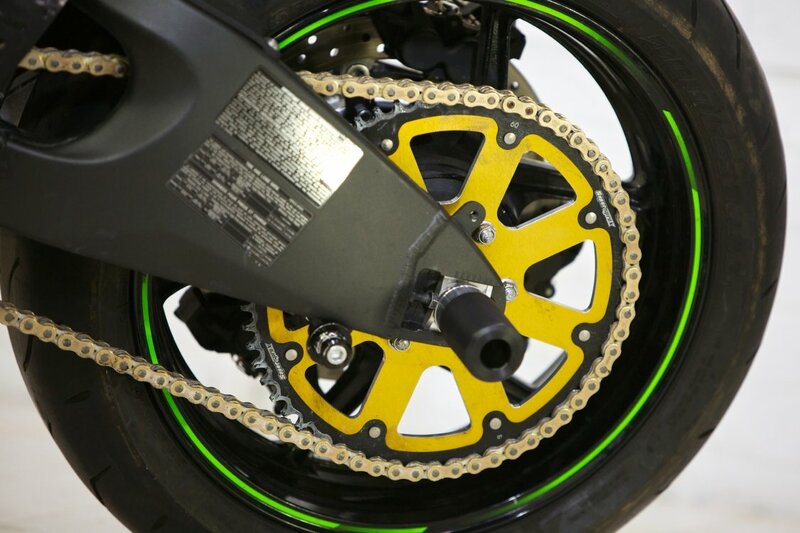 The RKGB520GXW chain is as strong as the 530th, but much lighter. The tank was rewelded and covered with anti-slip coating. Stiffening ribs were set inside so that it would not deform under the weight. On the sides rubber stops in the frame were made so that it could not hang out. For fixating the plate number there is a steel frame ABM, which can be folded under the tail so as not to bother the riders while training. Also the oil was replaced with a sporty synthetic oil Total 10W50, because stuntbikes often work in a cut-out in place, without a cooling air flow. A K&N oil filter with a nut on the end was used, so that it can be unscrewed without a special wrench. The new owner was very pleased with the bike!